The traditional ballet of the Nutcracker. 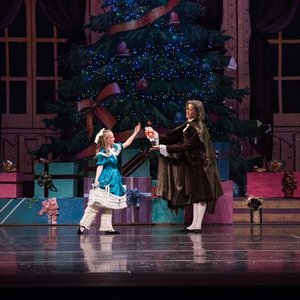 A story of the young girl, Clara, and her magical journey into the Land of Sweets hosted by the Sugar Plum Fairy and her Cavalier. Sugar Plum Tea tickets: $5, available for matinee performances. The tea will be 11:00-12:30 in the Carousel Ballroom prior to each matinee. Tea tickets can be purchased at the door.